There are several items that have consistently eluded me in my 'key pieces' search over the years. Navy features in several of them with a navy cross body up there on the top of the list. Well can I say 'bravo' to Zohara for allowing me to cross that one right off with this beauty from the AW17 collection. 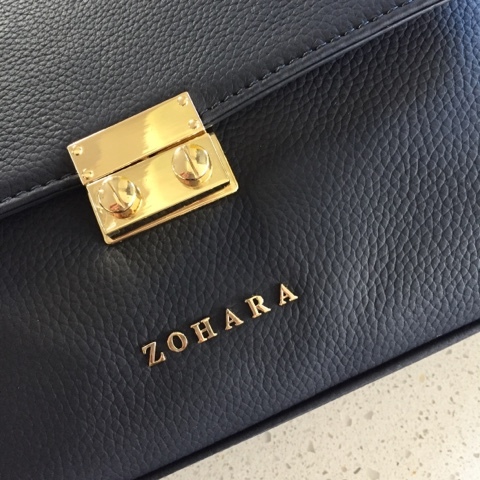 I've featured Zohara on the blog before when they launched their SS17 range at a blogger breakfast in Belfast. It's a local company, based in Co. Antrim and a couple of years ago, they identified a demand for a high quality leather handbag range that is affordable. Designer bags have become ridiculously expensive purely on the basis of the brand name and the amount of money these companies have to put into protecting their brands. Zohara can instead invest in great quality and keeping prices affordable. A good example is this Notting Hill cross body bag which comes in at £149 in butter soft pebble leather. Plus I've a discount code which will make that price even better - see below. I've said it before and will say it again here - put your money into leather handbags and shoes. It's a false economy to buy PU. I still do occasionally and they're always the ones I give away after a relatively short time. 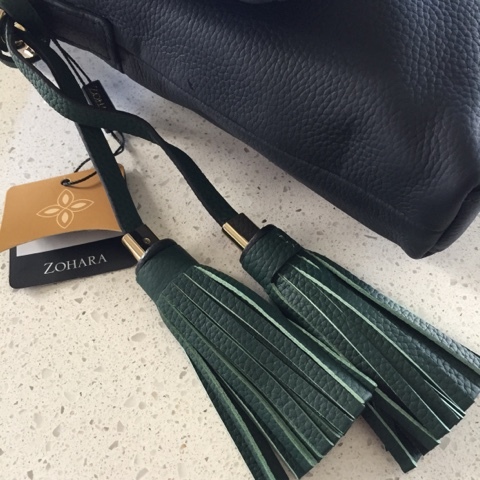 Each of the Zohara collections has a locally inspired name and a different coloured tassel feature and for AW17 we were introduced to the Glenarm Collection with all the bags sporting a bottle green leather tassel. 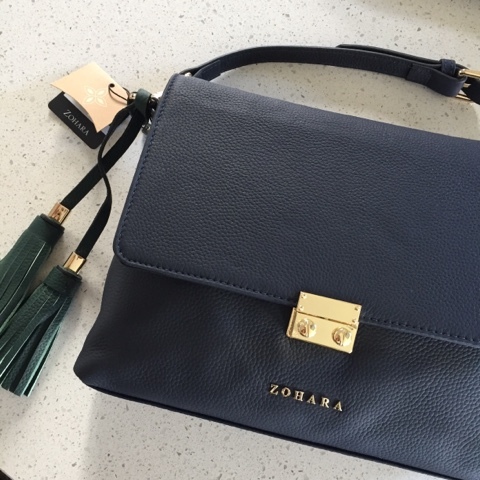 As with my last Zohara bag, which I use almost every day at work, the quality is beautiful. From the stitching to the lining, the pockets to the closure. All exquisitely made and you can tell that thought has been put into each of the design features. 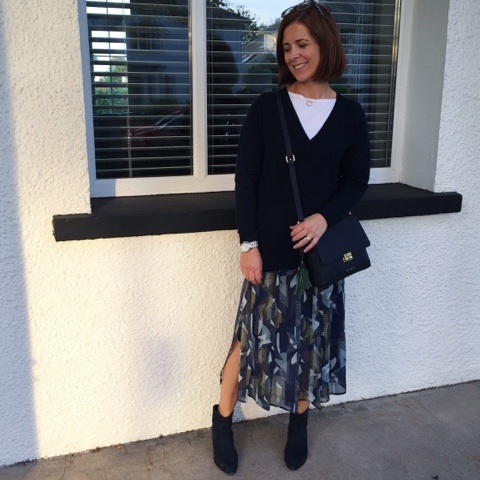 I've worn this bag several times since the autumn winter launch back in early September and it's not only gorgeous and stylish, it's endlessly practical. I'm a big cross body fan as you know but they're not always as usable as this one. This bag has plenty of room but it doesn't get too heavy. 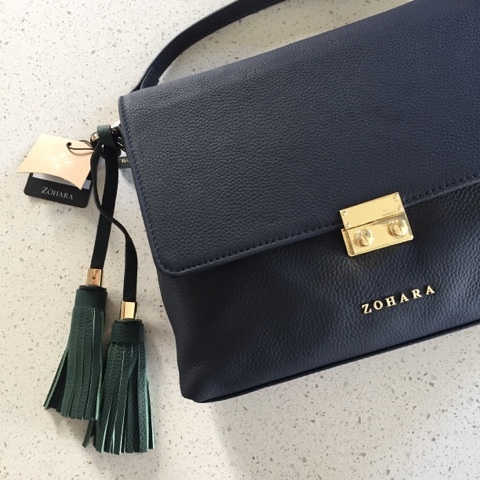 And if you're interested in treating yourself to a bag while supporting a local company - more #winwin on this one - then you can get £20 off any Zohara bag on the Bellamia Boutique website by using my code - GLENARMAK. I need to tell you that this is a limited code - it won't last forever. Disclaimer - I was gifted this bag by the team in Zohara for which I'm very grateful. I wasn't paid nor was I obliged to write a blog post. I just love telling you about great local brands that don't always get the credit and coverage they deserve in a competitive marketplace. In turn, thank you for supporting the brands that support me. 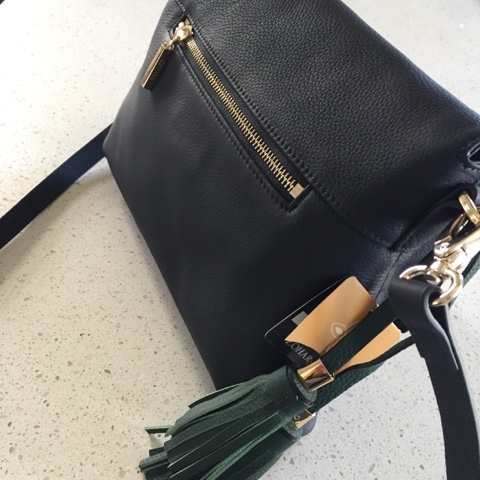 Stunning, classy, quality bag right there - and I have always loved navy. I'm on the verge of chucking out my entire wardrobe and replacing it with a few quality classics that I can mix and match, so this would be a great accessory to have.